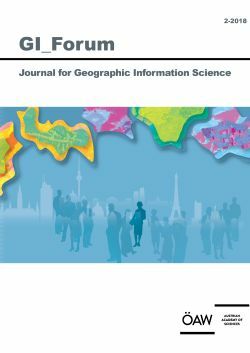 This paper deals with the integration and promotion of spatial citizenship and public-participation GIS in education – especially in geography lessons – to maintain and improve Holocaust Education. Because of the political shift towards the right in Europe during recent years, the act of maintaining and promoting Holocaust Education is more important than ever. Therefore, it is crucial for schools to educate young students in terms of what the Holocaust was, what happened, how they are connected to the topic (for example through the history of their surroundings), and, most importantly, what can be done in order to prevent such things happening again in the future. Furthermore, the Austrian Curriculum for Secondary Schools (BGBI, 2016) states that one of its highest educational goals is the direct confrontation of a student’s individual identity with the promotion of respect, tolerance and solidary. With this aim in mind, this paper deals with the ‘places of resistance in Salzburg’ project, in which students participate in the expansion of an online archive and the creation of an online tour, both of which will be available for the public. The approach builds on resistance as one part of Holocaust Education: resistance against (local) atrocities, such as the violation of values of tolerance, respect or even human rights, might be truly difficult, but it is possible – and even was so during WWII.